When it comes to special occasions with catered meals, it’s rare that someone leaves hungry. While abundance is reasonable in times of recognition and celebration, it’s an unfortunate reality that catered events and food waste often go hand in hand. It doesn’t have to be that way. 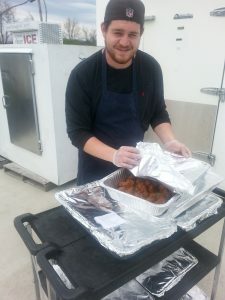 Community Food Rescue (CFR) provides catering companies – and the individuals and businesses who hire them – a proactive way to deal with food remaining after events. Specifically, catering companies can join our CFR network and let clients know that, as part of their sustainability commitment, they will donate excess food to organizations that feed Montgomery County neighbors experiencing hunger. And anyone hiring a caterer for a business or personal event can chose to hire one of those companies. 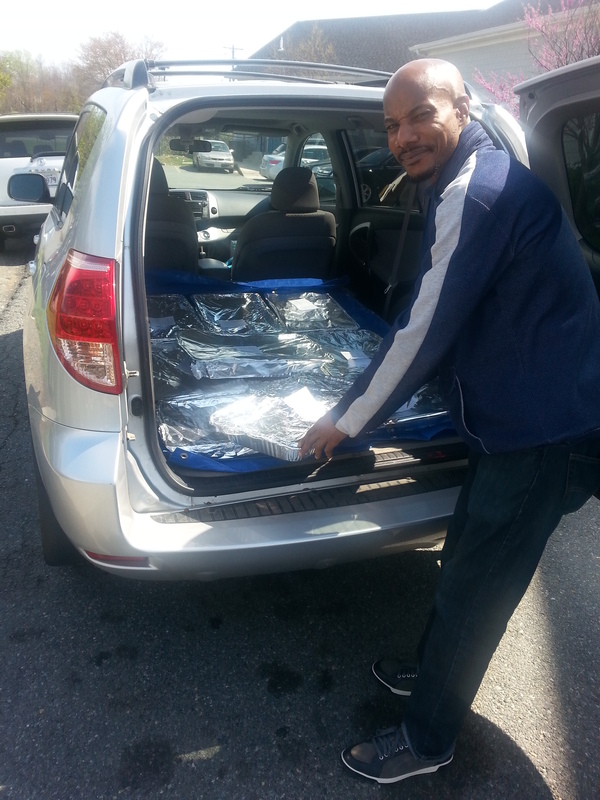 James at High Point Caterers shows off surplus food ready for donation to Montgomery County Coalition for the Homeless. Six CFR food donors are caterers: Corcoran Caterers, Green Plate Catering, High Points Events, My Thyme Catering, Relish Catering, and Tropical Fusion. All embrace food rescue made easy by ChowMatch, our unique matching application. For these companies, sending excess food to food assistance organizations—like food pantries and shelters—instead of to the landfill fits with their values and can save money. Businesses that donate excess food are also able to take an enhanced tax deduction. As part of the CFR network, we celebrate and recognize their generous donations on our website and social media. We highlight two caterers in this post. Martha Corcoran’s husband, Chuck, founded Corcoran Caterers three decades ago. She says that, from a business perspective, food rescue “is just the right thing to do.” Their company went through the process of becoming a Montgomery County Certified Green Business several years ago. 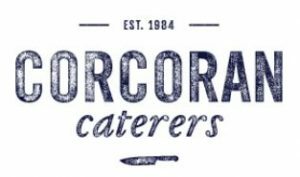 Making small but important changes like offering vegan options, composting post-consumer waste, and donating surplus food helps Corcoran Caterers provide value to many corporate clients that are themselves striving to be more sustainable. “Our biggest opportunities for food rescue are at corporate events. A large portion of the time, they don’t need the surplus food and feel great about donating it to organizations serving people in our community,” explained Martha. Before your next event, consider using one of the CFR network caterers. Or, encourage your favorite caterer to join our FREE CFR network – all they need to do is visit our Donate page and take a few minutes to sign-up. Our CFR matching tool will match their food donation to one of our 52 food assistance providers, and our trained volunteer food runners will transport it according to your caterer’s schedule. On your special occasion, donating food that can feed more and waste less is an additional cause for celebration.